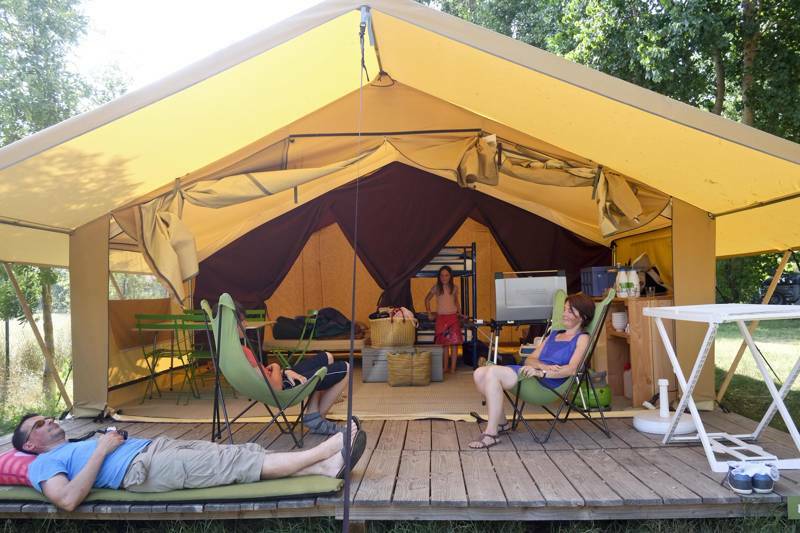 After days exploring nearby Paris, this fully-equipped and spacious tent provides a comfortable canvas retreat. Set in the Western side of Paris' 16th district, within the Bois de Boulogne, this campsite is ideally situated to explore Paris. With a free shuttle service to the closest Metro stop just 2km from the campsite (Metro stop: Pont de Neuilly line 1: direct access to the Champs Elysées and Louvre, and one change to the Eiffel Tower), or bike hire available, you can have easy access to France's capital. Nestled amongst the trees, these family friendly canvas tents are the perfect place for family holidays, of up to 5 people! There is a large and spacious living/dining area, with a fully kitted out kitchenette, and your very own private shower and toilet facilities. Sleeping quarters are: one double bedroom, and a second bedroom with three single beds (bunk beds and a single). Sheets and towels are all provided, and beds are made up prior to your arrival. - The Central Lodge which is open year round, provides a light and spacious lounge area, with board games and a TV. The separate children's play area is also centrally located. - The on site grocery store, which is open year round, has all of your camping essentials. Suresnes district which is 600m from the site, the other side of the Seine river, has a larger supermarket, as well as a chemist and bank. - Summer bicycle hire (from April to end of September) so you can explore the area, from zipping along the banks of the Seine, or going on an adventure within the Bois de Boulogne forest itself to discover its many parks and lakes. - Jardin d'Acclimatation, 4km from the site, or even Bagatelle Park - Paris' Botanical Garden, just 2km from the site. An ideally situated campsite for exploring Paris. The only one camping and glamping right in the heart of the French capital – enjoy a green surrounding in the centre of the city. Paris Bois de Boulogne campsite has been totally refreshed! The washrooms are now all fully renovated, and the new, bright and modern central lodge welcomes you for a relaxing break. 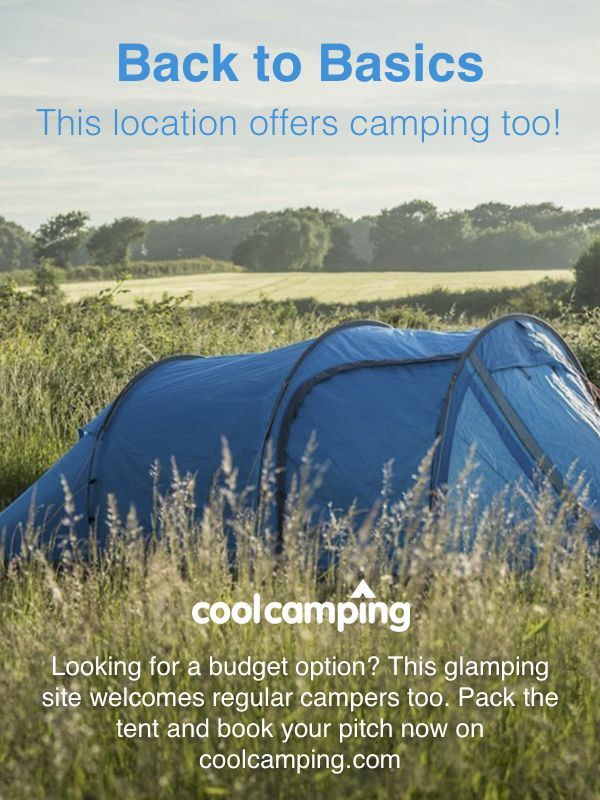 You can also make the most of a redesigned and landscaped site, allowing you to enjoy a brand new campsite, with even more nature, in the centre of Paris! To visit Paris from the campsite, you can walk directly through several fantastic and mythic neighborhoods, such as the Latin Quarter (5th and 6th district), the Marais (3rd and 4th district), the Batignolles (17th district), the Butte aux cailles (13th district), Montmartre, the city island and Saint Louis. After a bust day exploring the city – including the Eiffel tower, the Champs Elysées and more – come back to the green setting of the campsite on the banks of the Seine and make the most of the new facilities: a bright and modern central lodge that opens onto a lovely terrace and a new children's playground. There are 3 light, accessible, heated washrooms with shower cubicles and family bathrooms, baby-changing areas and children's toilets, and a laundry area with a washing machine and tumble dryer (tokens can be bought at reception).The campsite's central lodge is open all year round for food and drink, and has board games and a TV area. There's a morning bread and croissant service (order in advance) and a campsite shop selling all the basics. The site has table tennis, a playground and bike hire is available between April and September. It's worth know that Suresnes, just 600m from the campsite on the other side of the Seine, has banks, a chemist and, most importantly, a supermarket. In the Bois de Boulogne you're in the heart of Paris, and during summer the campsite's bike hire service is a great way to see both the park and the rest of the city – though there is also a metro station 2km north of the site at Pont de Neuilly. A former hunting ground of the Paris monarch, the Bois covers a massive area, and has 15km of cycleways and some 28km of bridleways and footpaths. Specific points of interest include the elegant Parc de Bagatelle, with its wonderful landscaping, magnificent rose gardens and Chinese pagoda; the Jardin d'Acclimatation, an originally 19th-century theme park with rides, mini golf, boating and more; and the botanic gardens and glasshouses of the Jardin des Serres d'Auteuil. Beyond the Bois, well, there's the rest of Paris...! The site's new café-restaurant serves homemade pizzas and plenty of other dishes and has a lovely terrace on which to enjoy them – it's open weekday lunchtimes and every evening during the peak summer season. The closest restaurant to the site is the old-fashioned and reliable Relais du Bois (01 45 04 27 60), while on the far (city centre) side of the Bois, Oum el Banine (01 45 04 91 22) is a friendly neighbourhood Moroccan If you really want to push the boat out, the Bois has some top restaurants, for example the Grande Cascade (01 45 27 33 51), with its grand fin-de-siecle interior, or the Michelin-starred Pré-Catelan (01 44 14 41 14), whose €100 lunch menus just about make it affordable! No less than 435 pitches for tents, including some reserved for campers on foot, plus two kinds of wood-and-canvas tent, wooden 'cottages' and gypsy caravans.